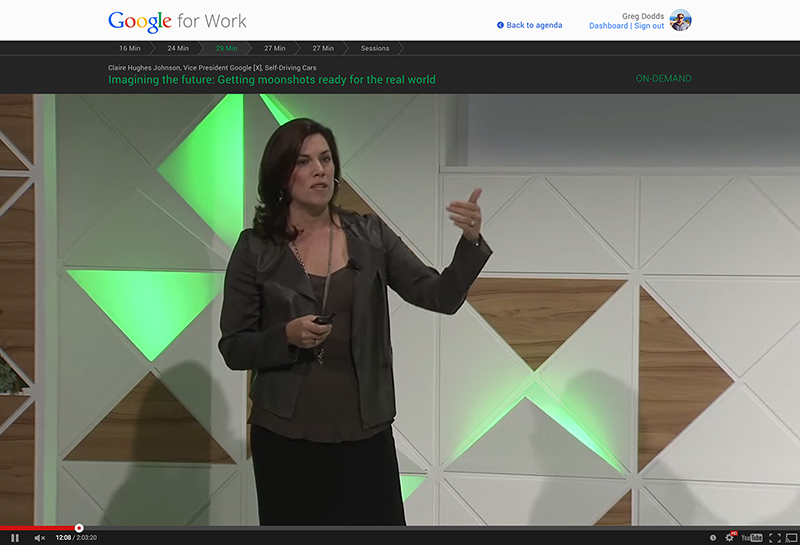 Google for Work wanted to reimagine the online event. They challenged us to create a custom platform that would expand connection and education, while leveraging online tools and supporting massive traffic. We set out to improve upon existing online events by reverse engineering physical events, translating key real-world elements into digitally enhanced experiences. Our integrated solution included real-time data visualizations. live streaming video across multiple channels, an interactive Q&A platform, and a dynamic custom social visualizer widget. Beyond inspiring entrepreneurs and business leaders to improve the way we work, Atmosphere Live helps people learn from each other. 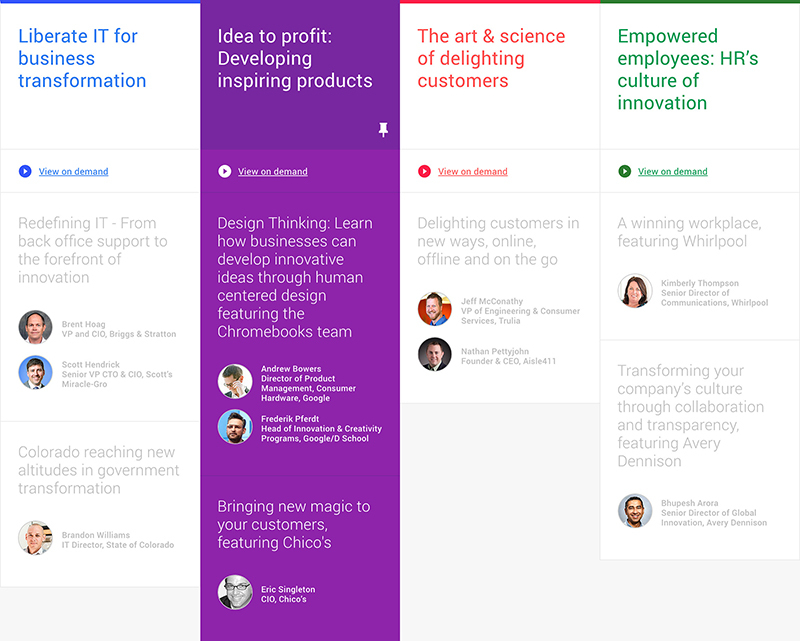 The platform reached over 11 thousand people in 84 countries during its first session, and Google continues to scale dozens of events globally. Personal Accomplishments: Assisted in maintaining frontend application using tools such as AngularJS, CoffeeScript, Jade templating language and Python. Also provided technical support for the live event. Monitored automated air times and made sure any technical problems were tended to.